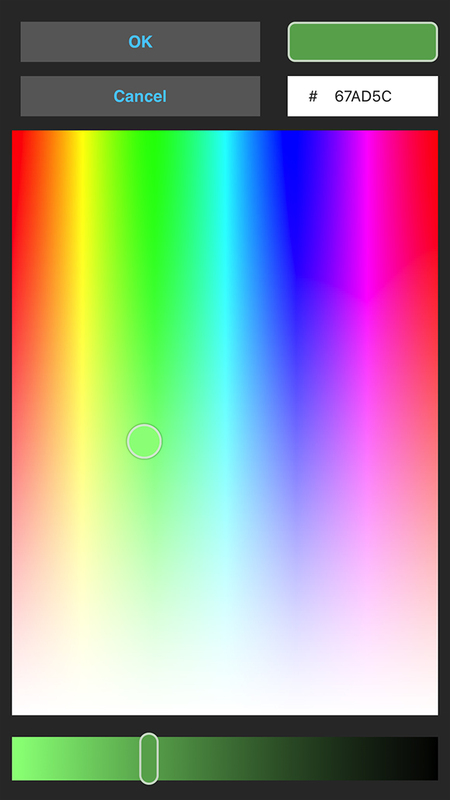 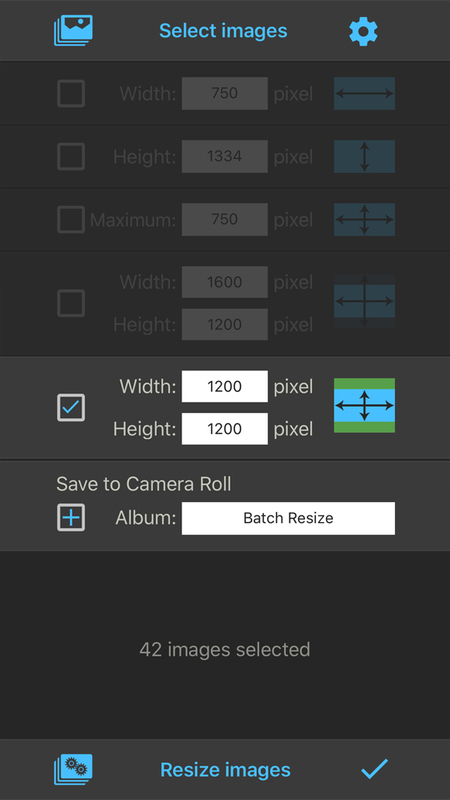 This app allows you to resize up to 100 images at once to whatever size in pixels you like, quickly and easily. 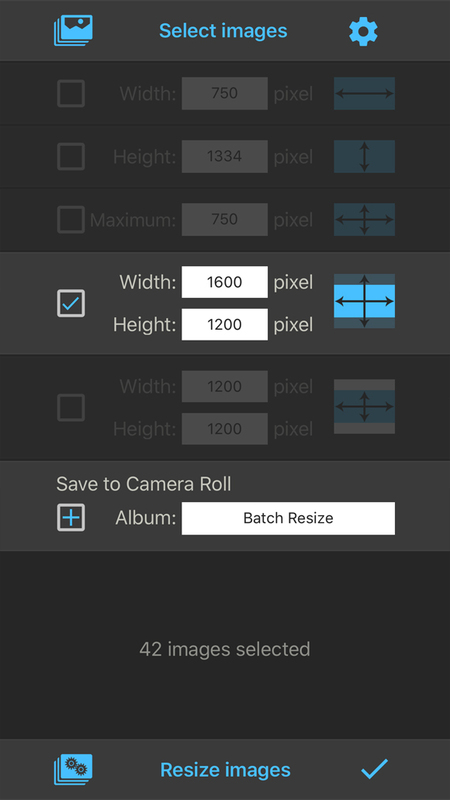 Batch Resize gives you the option to save the resized images in Camera Roll and additionally in a custom album. 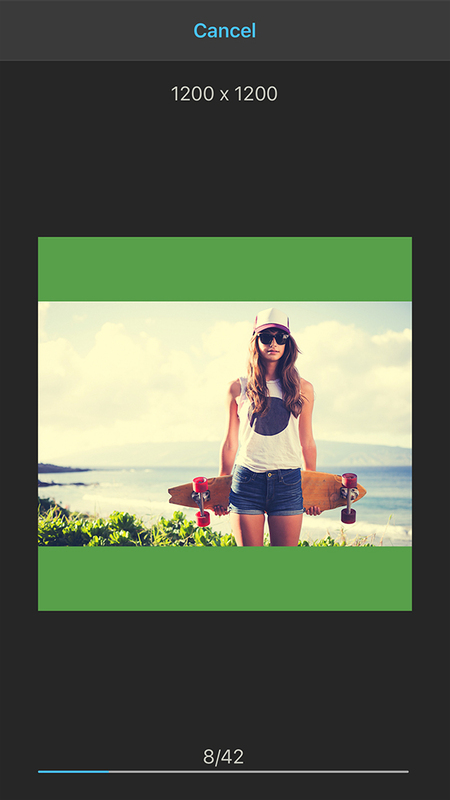 The maximum output size for 32 bit devices is limited to 4000 x 4000 pixels and for 64 bit devices to 8000 x 8000 pixels.